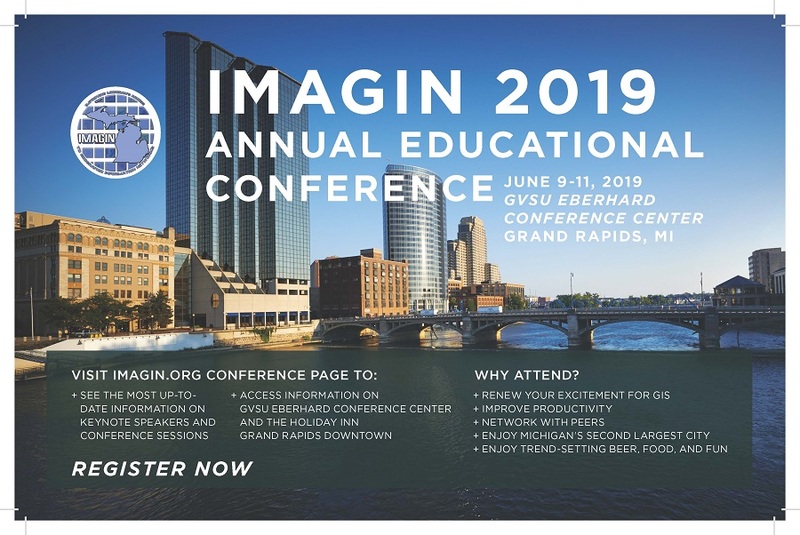 IMAGIN 2019 - GRAND RAPIDS! Start planning now to join your fellow GIS Professionals in Grand Rapids from June 9 to 11, 2019 at the 28th Annual IMAGIN GIS Conference. Vibrant keynotes, social outings, education topics, the Esri Hands On Learning Lab, and much more, all while being within a few steps of Michigan's fastest growing and most vibrantly redeveloping city! Check out all of the details that are being added daily to the IMAGIN Conference Pages!